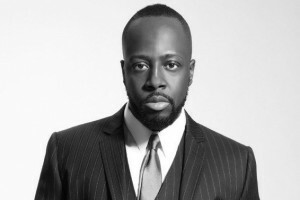 Wyclef Jean is different from many of his hip-hop contemporaries due to his individualistic approach to the style. It’s hard to pin him down to one genre due to his incorporating world, folk, jazz and numerous other kinds of music. He also pays tribute to where he comes from in Haiti as part of his artistic essence. He has always done things his way and, due to being aware of what the music landscape is like, he embraces it while putting his own spin on it. As part of “Carnival Tour,” Wyclef Jean and his band will be vibing in the ballroom at Fête Music Hall with Providence hip-hop band Sun of Sound kicking it off. I had a conversation with Jean about his latest album, working with young musicians, each generation having their own voice, solving the current divide within America and his quest to form the next supergroup. Rob Duguay (Motif): You’re going to be performing at Fête Music Hall in Providence on Mar 3 as part of the “Carnival Tour” in support of your recent release Carnival III: The Fall and Rise of a Refugee that came out last September. With it being the third release of the series, what was the approach going in while making the album? It was me producing with a few producers who were listening to funk when they were eight years old. We put the two frequencies together and that’s what you got, the Carnival III. RD: Your career has evolved a lot since you were in the Fugees since the early ‘90s, and you’ve been making music for nearly 30 years. What do you think has changed about you the most as an artist since you were starting out? WJ: My blueprint is that I always wanted to be like Quincy Jones. Now, a hundred million records later with the Fugees and collaborating with the likes of Beyoncé, Michael Jackson, Shakira and Mary J. Blige, I learned something from each of them. Every time I learned something, I kept growing and growing. I always think that in the music business every day is a learning process. As producers and composers we go in, do it and inspire. The more we learn, then the more we inspire. RD: One thing I’ve always appreciated about your music is that you’ve always incorporated your Haitian roots with hip-hop while keeping it fresh and maintaining your own identity. You just mentioned Quincy Jones, did you check out that interview he did with Vulture recently? WJ: Quincy is like the godfather. Of course I read it. RD: What did you think of it? Is there stuff that he talks about that you already knew about? WJ: I knew a lot of what he was talking about already. RD: Over the past couple of years, the hip-hop community has been divided over what some purists consider to be “mumble rap” with artists like Lil Yachty and Lil Uzi Vert putting out music along with having controversial opinions about hip-hop legends like Tupac Shakur and the Notorious B.I.G. As a musician who has roots in hip-hop, where do you stand on this? WJ: I consider myself as one of the oracles of this movement. The best way to explain it is that it’s like the NBA Draft. Another kid is going to come along and they’re going to feel like they’re better than LeBron or that they’re better than Jordan. At the end of the day, the legacy of the player will tell who’s the best but I do think that you need both worlds to function. I personally think that, from growing up with hip-hop, there’s all kinds of hip-hop. You had Biz Markie, you had N.W.A. and you had Digital Underground doing “The Humpty Dance.” I think what’s happening is that the hip-hop that’s in more of a commercial space now, some of the purists might not agree with, but once again, every generation has their own tongue. You have to blend in with you. RD: You make a good point by saying that each generation has their own art forms and their own voices. Back in January, President Donald Trump referred to Haiti and numerous other countries as “shithole countries” as an answer to allowing immigrants into the United States. You came here as an immigrant from Haiti when you were young and you obviously must have been upset by this. What do you think can be a solution to the division Trump has caused through the things he’s said before and since taking office? WJ: I think the first part of it is that the solution is to get better legislation passed. How that comes about is by having an independent party to counteract the Democratic and Republican parties. In cities and boroughs there are councilmen and mayors. If we want real change, then we have to focus on voting for better legislation and that’s the only way it’s going to happen. People have to get more involved instead of sitting back and watching what happens. I’m from Haiti, man. Haiti is Pearl Island, it’s not a shithole. RD: I have friends of mine from Haiti and they’ll say the same thing. In fact, one of my friends from there went to Haiti to visit again and she was eating mangos from a tree and taking photos of the wildlife. It looks like a very beautiful place. After the “Carnival Tour,” what do you have planned for the rest of the year? WJ: While on tour, we’re also working on the next mixtape called Wyclef Goes Back to School. From the mixtape, I’m going to create the next supergroup. RD: Who’s going to be in the group? WJ: I don’t know yet but let me tell you how we choose. First of all, the reason why it’s called Wyclef Goes Back to School is because during my dorm days we had the biggest campus bands. There’s a lot of talent at colleges and universities that are waiting to be discovered. While I’m on tour, I’m going to be doing studio sessions in a lot of different dorms in these cities. From there, we’re going to be pulling some incredible talent and the first time people hear all of this talent will be on my next mixtape.